The HHN fan creates a tv spot for this year's event at Orlando and Hollywood. Eli Roth, the writer/director behind Hostel and Cabin Fever, has helmed the tv commercial for this year's Halloween Horror Nights. Excitedly, it's filled with lots of hints as to what we can expect from this year's premier Halloween event. The trailer shows a group friends arriving at house for an unbelievable Halloween party, but things aren't as you would expect. As the group venture further into the house they encounter some of the more infamous characters from this year's haunted houses. The twins from The Shining, Billy the Puppet from Saw and the Pig Man from Roanoke all feature. The fun doesn't stop with a 30 second trailer. Universal have also released a behind-the-scenes video, complete with an R-rated director's cut of the trailer. Roth points out that there are lots of Easter Eggs to look out for, especially present in the extended trailer. Look out for all the American Horror Story nods, especially for the Roanoake and Coven series. Roth has been a fan of HHN for a while. Last year he worked with the HHN Hollywood team to create Eli Roth Presents Terror Tram. 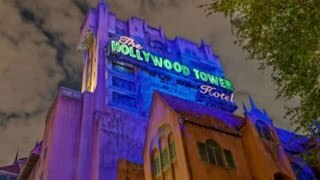 This year's event at both Hollywood and Orlando runs on select nights from 15th September up until 4th November.